Ava is producing two new CDs of all original children's music! The first will be released in October. 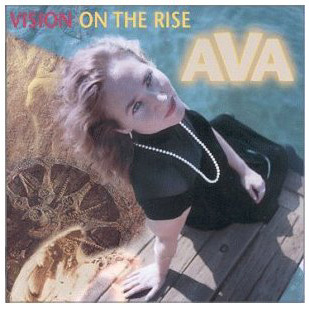 Both albums feature Ava's creative compositions and lush vocal talents. Other musicians on this exciting 2-CD project include Grammy nominee violinist Jeremy Cohen, the very talented sax player from Tower of Power, Tom Polizter, the ultra-gifted pianist John R Burr from the Grammy winning Allison Brown Quartet, Bili Turner, drummer-extraordinaire from the John Broadway Tucker Blues Band, versatile and multi-talented Mark Holzinger from Lost Weekend, Ruth Davies, long-time nimble-fingered bass-player who played with the late Charles Brown along with many of the greats, Bill Lanphier, superb bass-player who toured with Madonna, as well as recorded on well-known children's album Silly Time, superb percussionist Michaelle Goerlitz formerly with Wild Mango, Iniminable Harmonica player Jamie Faifua from Jamie Faifua and the Jukes, master steel pannist Tom Miller with Pan Ramajay, silky-toned phenomenal flutist Nika Rejto, and More! Ava's "Elephants In My Ears" will be available on line and in stores by the end of October. Ava Scofield's "Jammin' Jive!" will be released early next year. Both CDs feature songs with Amber Lily Solberg, Jenni Lopez and other very talented child singers! Check back here for updates!